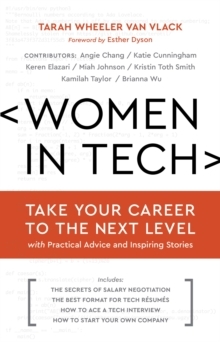 This tech-oriented career guide for readers of #Girlboss and Lean In alternates teaching career skills with inspiring personal stories from successful women in tech. 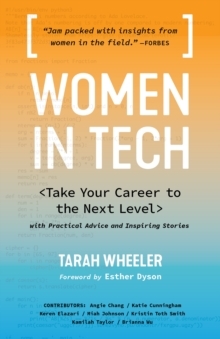 Geared toward women who are considering getting into computer science or engineering, or those already in a technology job who want to take their career to the next level, this book combines no-nonsense career advice and inspiring personal stories from a female startup CEO and a host of other successful female tech professionals, many of them non-traditional and self-taught. Useful for many types of STEM careers including engineers, programmers, coders, technologists, entrepreneurs and even gamers and hackers, and for anyone who wants more diversity, equality and inclusion in tech, this book will help dismantle the unconscious social bias against women in the tech industry. Readers will learn: the secrets of salary negotiation, the best format for tech resumes, how to ace a tech interview, the perks of both contracting (W-9) and salaried full-time work, the secrets of mentorship, how to start your own company, and much more!